Matt C: Almost as quickly as it began, Bristol Comic Expo 2011 was over, and while an enjoyable time was had by all, the anticipated twinge of disappointment was definitely in place. Hopefully the problems can be rectified when the Con returns to the large Commonwealth centre next year because the enthusiasm for comics was still rampant all over the place. In fact, that may not be entirely true: the enthusiasm was certainly rampant over at the Mercure Hotel for the Small Press section of the event. 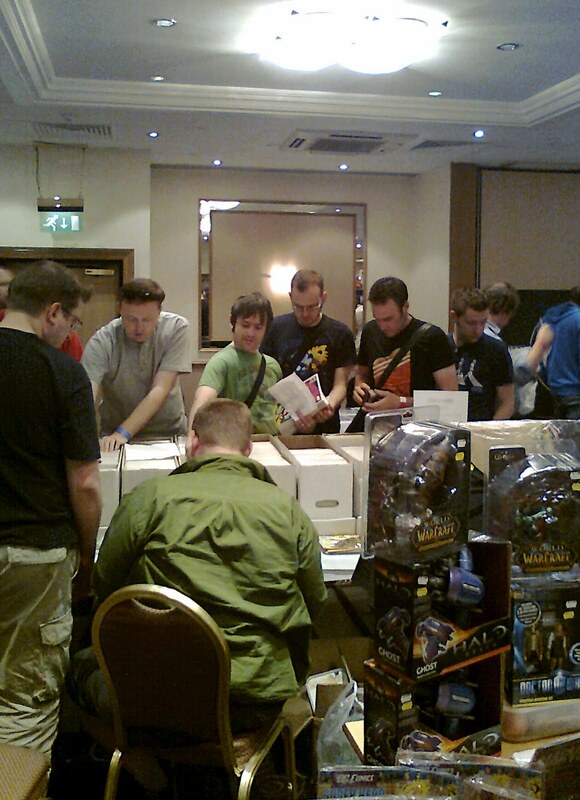 That’s where more of the creators placed themselves (from the self-publishing guys to well-known faces like Sean Phillips and Charlie Adlard) and that’s where there was a lot more to see, a lot more people to talk to, and a whole different vibe to the main exhibitor room in the Ramada Hotel. Over there, it felt like once you’d gone through all the boxes in and looked at all the stalls in an hour or two, your work was done. Additionally, there was a relative lack of high profile guests in attendance. 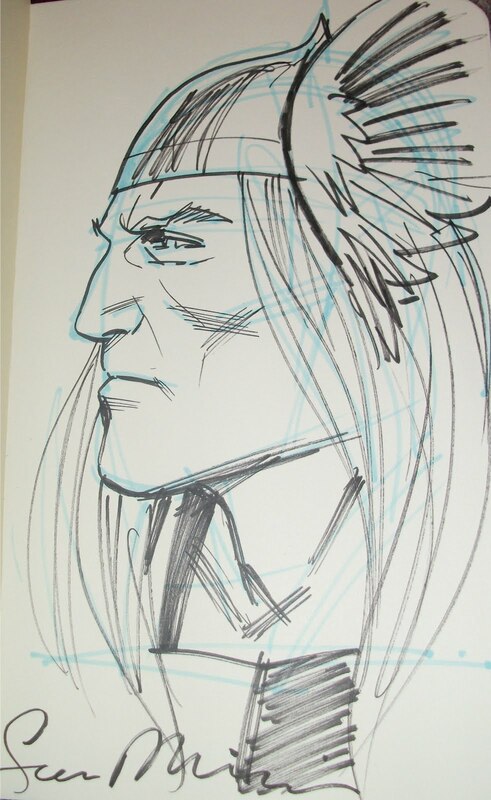 In the past, there’s usually been one of the ‘old guard’ on show from the States (someone like Roy Thomas) along with a couple of younger, fresher and hipper faces (like Joe Casey or Brian K. Vaughan). 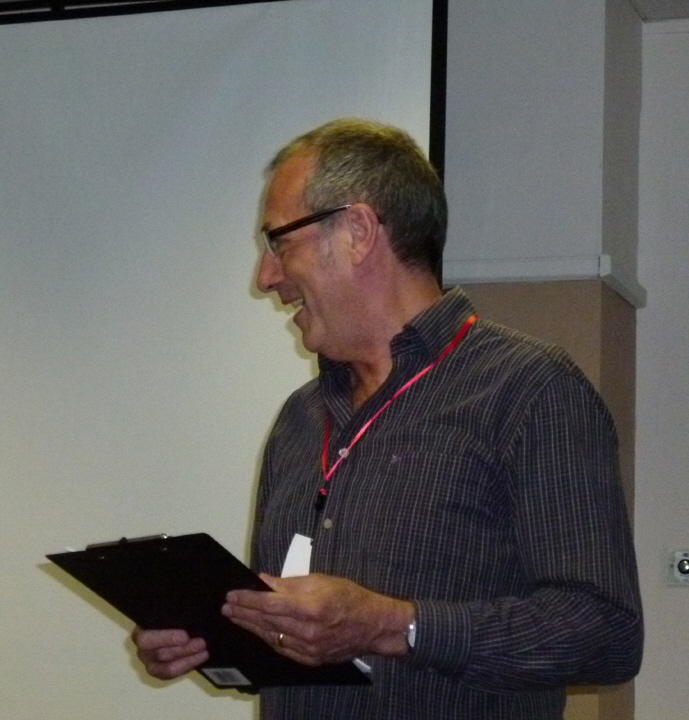 This year we had Rick Veitch as the lone ‘official’ American guest. 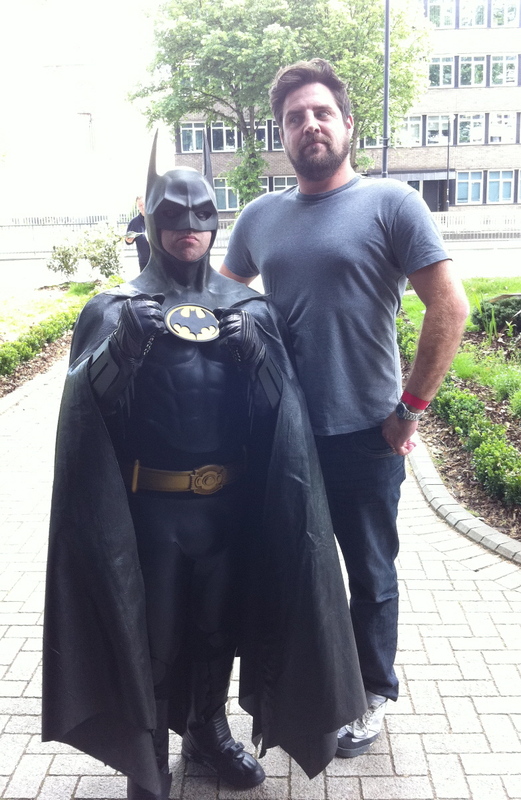 Okay, so Bob Wayne was spotted on Sunday afternoon, but he kept an incredibly low profile in comparison to previous years. I’m not saying the Expo should rely on folks from over the pond, but we generally get the same Brits appearing each year so it makes a nice (and important, considering that’s where the real power behind the medium lies in the English-speaking world) addition. Hopefully, along with bringing the whole event under one roof (that’s the rumour) the organisers will look towards getting some bigger names over from foreign locales in 2012. That also might prompt them to put on a few more panels that would prove more enticing to a wider audience. While I don’t doubt there were good talks on offer, I was only really compelled to attend the final Hypotheticals hosted by Dave Gibbons and Budgie (always good for a laugh, and it will be sorely missed in the future). I toyed with the idea of going to see what Veitch had to say, but not being overly familiar with his work, I gave it a pass. 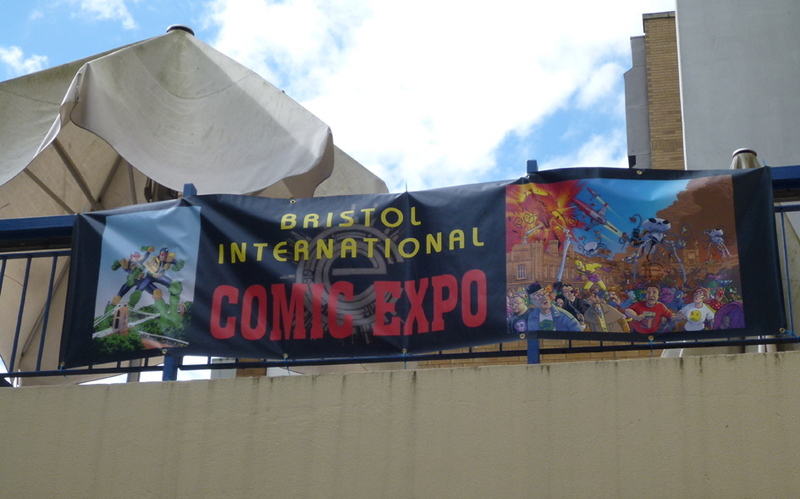 So really, I’m looking to the 2012 Expo to be a return to form and have my fingers crossed that the organisers use the opportunity to put Bristol Comic Expo back on top. Okay, that’s the grumbling out of the way, because while I may have had problems, overall it was still a great weekend. I came away with a huge haul of comics – much more than planned, but isn’t that always the way? I was looking to pick up a couple of Captain America issues from when Mike Zeck was on art duties, but somehow I kept pulling more comics out of the box, ending up with… 45 issues of the title! Yes, it’s madness, it’s obsession, and it’s questionable whether I’ll ever find the time to read them all (!) but what the hell, I love it! Elsewhere, I tried to avoid the obvious Marvel and DC routes and seek out something new stuff. I’ve been meaning to get some titles from Cinebook (the official UK publishers of many a French graphic novel) and finally made the plunge, taking advantage of their 2-for-1 deal with two volumes of Orbital and the first volume of the wonderfully named The City Of Shifting Waters. Over at the Mercure, I purchased several ‘indie’ titles that caught my eye (which I will look at properly and report on back here over the next few weeks), and tried not to feel guilty when I passed by several tables without checking out the wares on display! I was most pleased to see Roger Langridge in attendance (even though he wasn’t on the published guestlist) and he signed a copy of one of his not-available-in-the-UK-for-some-doubtless-pointless-reason Muppets Show collection for my eldest son (which I will save for when he can read!). So yeah, I may have laid out my gripes but I think, on balance, the positives far outweighed the negatives. I’ve got lots of great comics to read, met a lot of great people both old and new, had a blast with my Paradox Comics Group colleagues and was denied access to a lift when the doors opened to reveal it was full of Stormtroopers (a priceless moment). It’s no exaggeration to say I’m already looking forward to next year’s event. Once again Bristol didn't let us down. Okay it was a little 'low key' compared to other years but it was still great to wander the dealer room and then hit the small press venue. Of course we are lucky enough to make a weekend of it and that really caps off the whole event. Great to catch up with everyone and so cool to meet some new friends. Bristol, I shall see you next year!